Whether you’re looking for that one-of-a-kind piece to bring home or just want a sneak peek inside the studios of East Van artists, the Eastside Culture Crawl offers an intimate artistic adventure in your own backyard. Showcasing over 400 artists within the boundaries of Main Street, Victoria Drive, Powell and 1st Avenue, the Crawl’s intimidating breadth can be daunting to navigate. To give you a head start, here are our top 10 must-see stops, all coveniently in order from Chinatown to Commercial Drive. 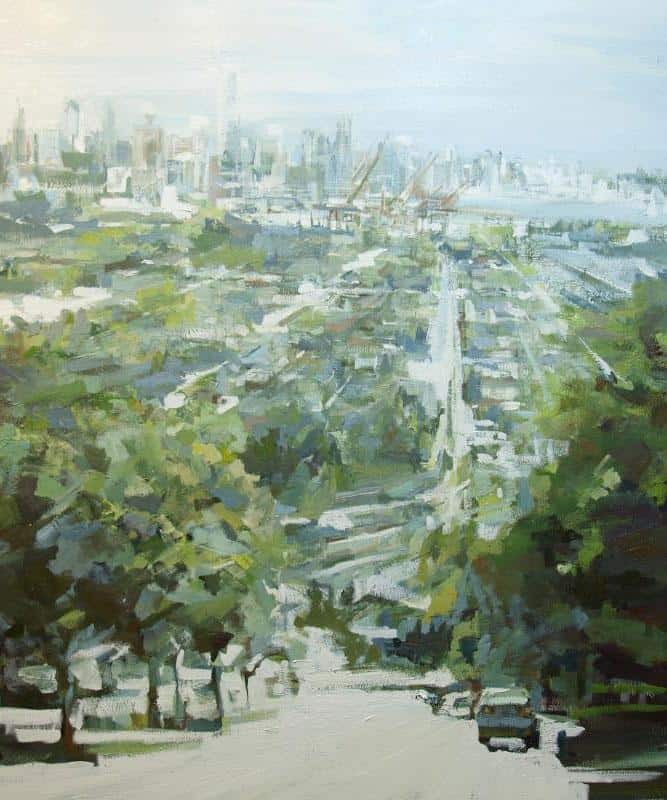 Leanne Christie is an oil painter whose works often portray familiar scenes from her home city of Vancouver. By removing colour and using a touch of abstraction, Christie invites us to question our surroundings and see them with new eyes: the docks at CRAB Park with their stacks of cargo containers and giraffe-like loading towers, panoramic views of the city from Burnaby Heights (pictured above), images of cycling, construction and beaches. Christie's captivating works document the ever-changing Vancouver cityscape, while also capturing the natural beauty that Vancouver is known for. 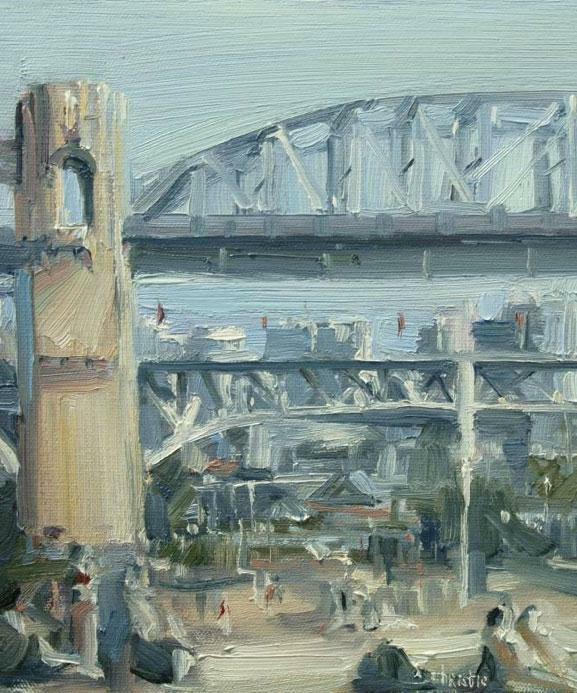 Taralee Guild’s paintings are alive with colour and movement. 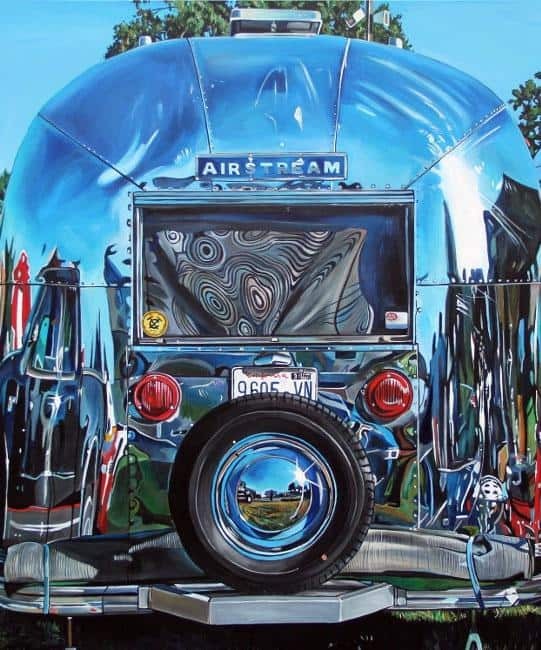 Her subjects vary from the treed canopies of British Columbia’s coastal rainforest to mid-20th century polished aluminum airstream trailers (pictured above) and scenes that depict the architecture, signage and characters that inhabit East Van. Anchored in the artist’s understanding of art history and critical theory, her pieces are much more than mere decoration – though they would of course be a stunning feature in any home. 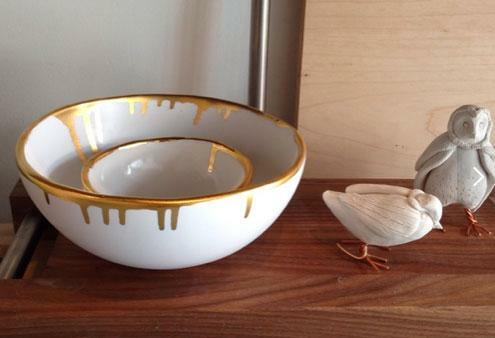 Pairing vintage nostalgia with modern design sensibilities, Claire Madill of heyday design creates individually handmade ceramic pieces that are truly one of a kind. 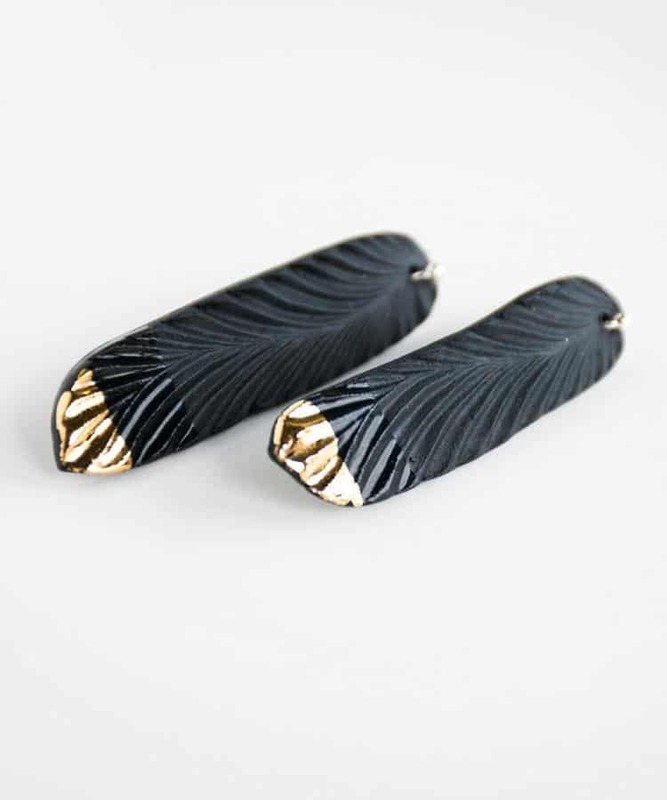 Her feather earrings with lustre come in black (pictured above) or white porcelain and are partially dipped in clear glaze, with gold or platinum lustre on the tip. Others earrings take the forms of crystals, bows or cubic patterns – but her unique jewellery is only the beginning. Madill also makes ceramic cufflinks and stunning cast objects such as vintage mason jars and woven baskets. 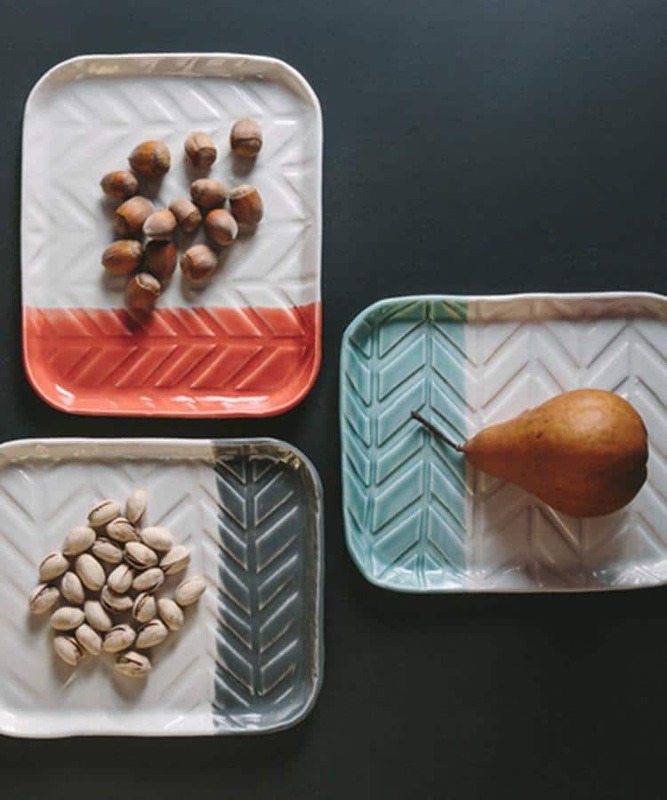 Using soft rounded shapes, geometric patterns and a beautiful palette of bright pastels, Heather Braun-Dahl of dahlhaus ceramics creates must-have home decor pieces and kitchenware. Her herringbone vases and platters (pictured above) are particular showstoppers, as are her striped vases in one and two tones. Warm, contemporary and playful, Braun-Dahl's work adds an uplifting pop of colour to any space. With influences from Japanese aesthetics and mid-century modern designers, Kate Duncan’s furniture is contemporary, sleek and exhibits meticulous craftsmanship. 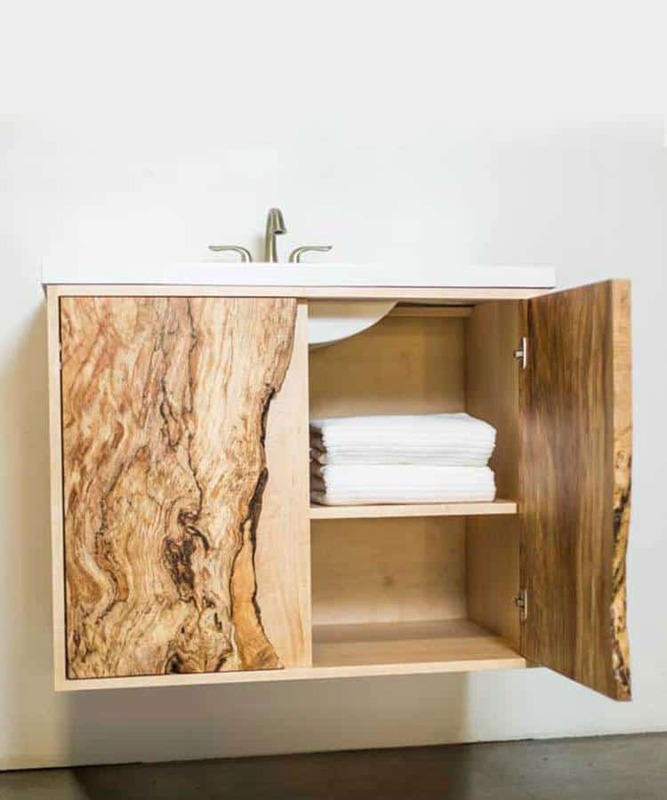 Her 'Routed Collection' (pictured) features “live edge” details that show the raw textures and colours of the quality hardwoods used and are unique to each piece. 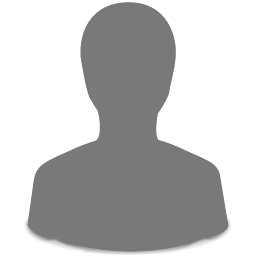 Made to order and customized for each client, Duncan's furniture is truly one of a kind. 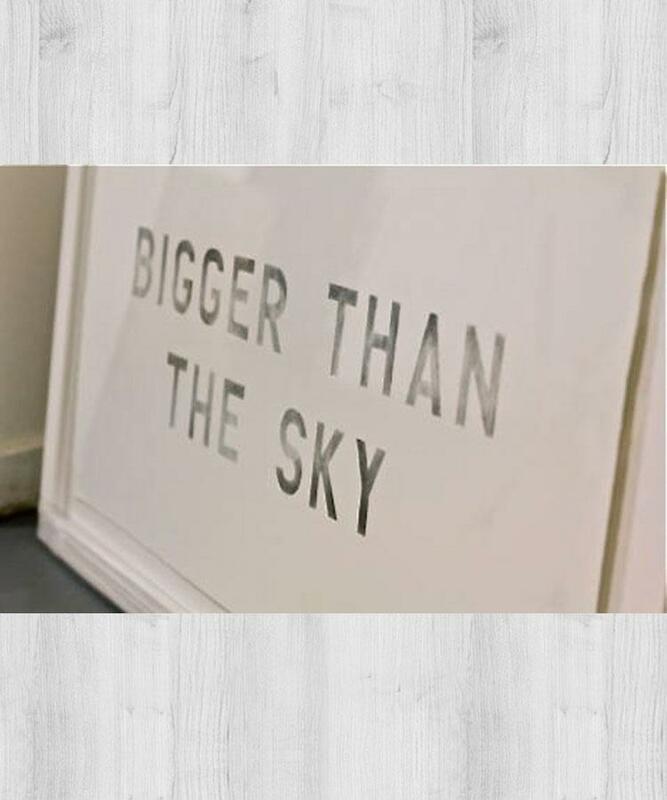 Printmaker Kari Kristensen’s carefully crafted works range from textured and surprisingly expressive depictions of various knots to typographic works like her 'Words of Love' series, which features phrases such as: “Bigger than the Sky,” (pictured above), “More than all the Drops of Water in the Ocean” and “Like the Moon & The Stars.” Often monochromatic, Kristensen's works are visually striking yet fairly neutral – a good combination if you’ve got an empty spot on your wall that is looking for some love. Minimalist lines are a signature characteristic of the sterling silver jewellery Melissa Jane Hudson produces as House of Hudson. 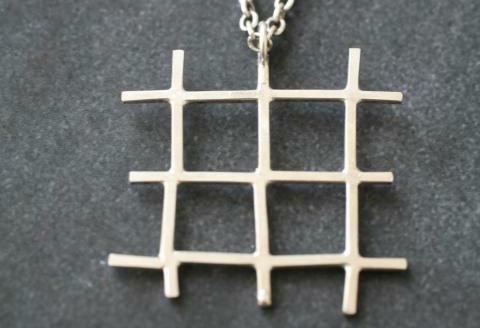 Her 'Occult' series of necklace pendants is comprised of symbols for Blessings, Goddess, Witch and Philosopher’s Stone, while those in her 'Hobo' series have cheeky names like Jail Here (pictured above), Hostile Cops, Go the Other Way, Keep Going and Lawman’s House. Hudson also has more complex pieces that feature crystals like black tourmaline and quartz, and her 'Rotary Line' features pendants made of two pieces, with one that spins atop of the other. 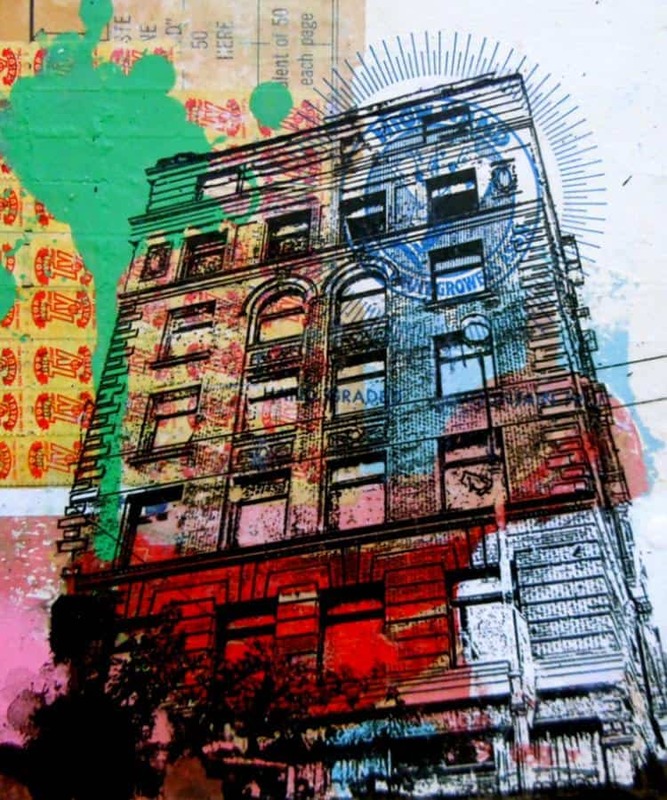 Mixed-media artist Jill Pilon uses paint, collage, drawing and text to create visually arresting but personable pieces that are characterized by striped or splattered areas of bright colours and patterns, images, elements from packaging or other banal materials and hand-scrawled text. The resulting work has a softness and beauty from the bright colours juxtaposed with an air of grit and urbanity, as if meditating on the visual chaos and fast pace of our modern world. Ann Maliatski’s work as Golem Designs & Ceramics pairs a neutral palette – think white, grey, gold – with sophisticated shapes and just the right amount of geometry, texture and imperfection. From white bowls with gold edging that swerves and drips in places to speckled, circular air plant holders hung from rustic rope, Maliatski’s pieces evoke the spirit of the West Coast in a fine balancing act between the urban and the natural. Inspired by the “suburban utopia” around her home city of Coquitlam, British Columbia, Echo Sun Yi Meng creates cups and planters under the name Suburban Houseplant. Her pots and mugs exhibit speckles, scribbles, cut-out holes and serene yet quirky moon faces. 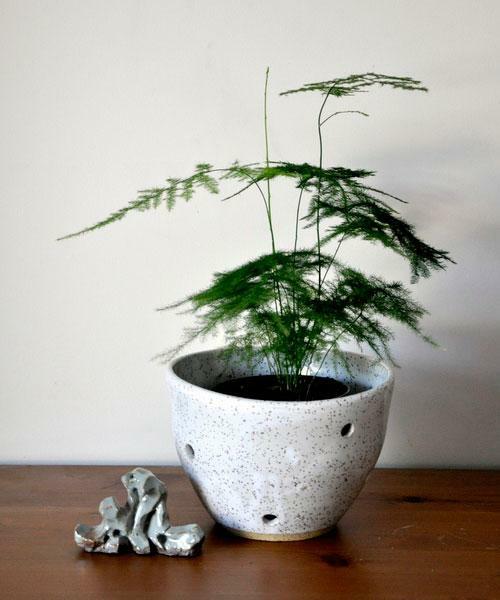 Sometimes whimsical, sometimes elegantly simple, these affordable pieces are the perfect way to enliven a humble houseplant or a morning cup of java.